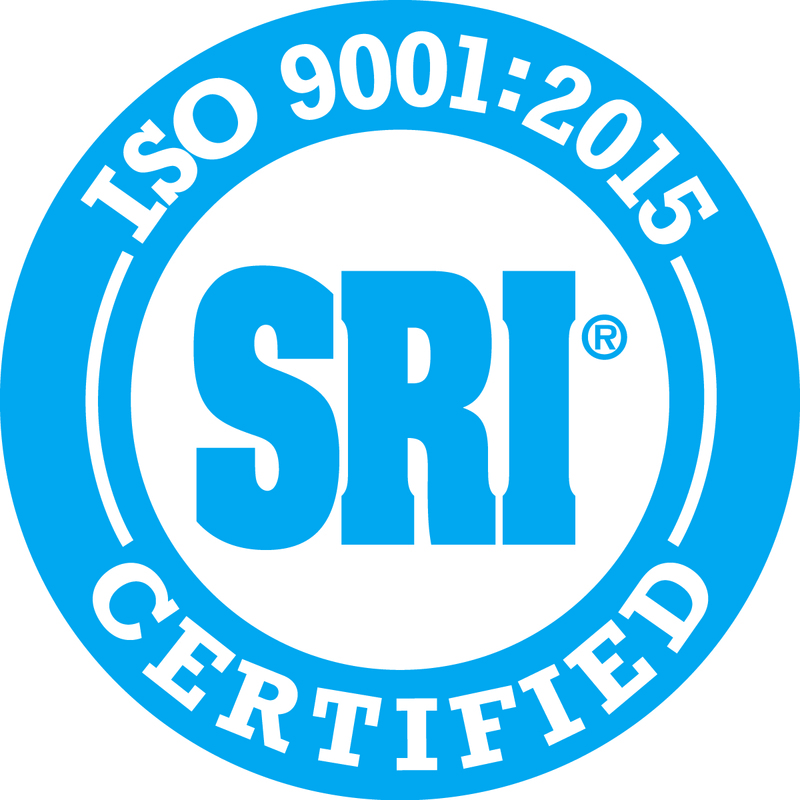 Hammond & Irving, Inc. is an accomplished ISO 9001:2015-registered supplier of seamless rolled rings and open die forgings, with a special focus on rings and discs. 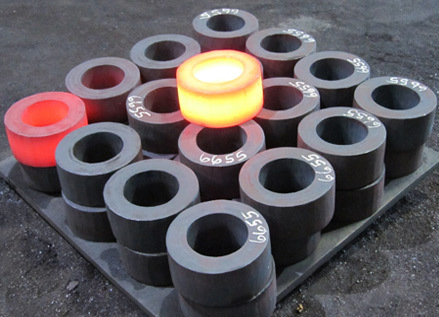 Our roots in the forging industry date back to 1919, and since then we have grown to meet the needs of the worldwide aerospace, bearing, gear, pressure vessel, power transmission and many other markets. We provide an exceptional level of service on jobs of any size, from prototype to high volume, and within short delivery times. 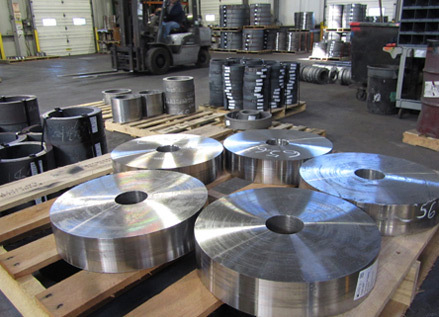 We produce seamless rolled rings of stainless, carbon and alloy steel, and nickel-based alloys. We ring roll up to 65.0” diameter, up to 15.0” height, and 800 lbs. weight. Heavier rings up to 30” height and to 1600 lbs. are made on our hydraulic open die presses, and smaller rings via open die hammers. Our ingenuity enables us to open die forge parts with geometries others find difficult, such as tall sleeves, flat washers and short bar forgings. 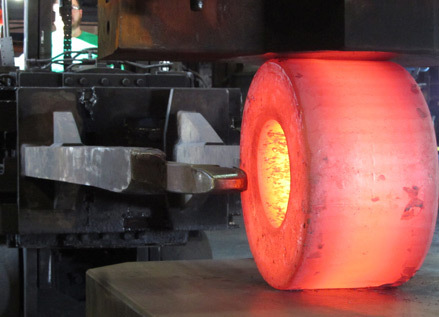 Forged rings created on our Wagner 63/63 radial/axial ring rolling mill are very cost effective for orders that range from a single, one-of-a-kind workpiece to large volumes. There is a significant material savings when compared to cut plate, and the process involves only simple tooling. 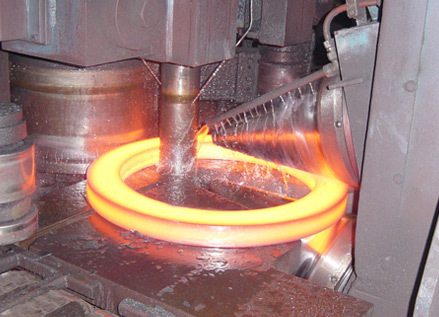 Our ability to produce rolled rings very close to their final shape also reduces machining costs. 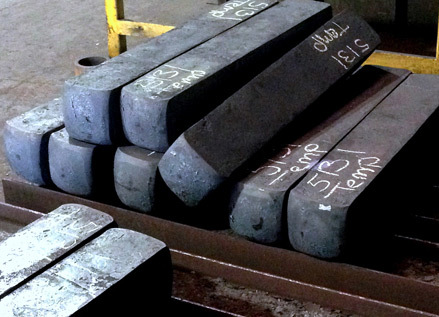 Additional services include cleaning, rough machining, heat treating, and shot blasting. 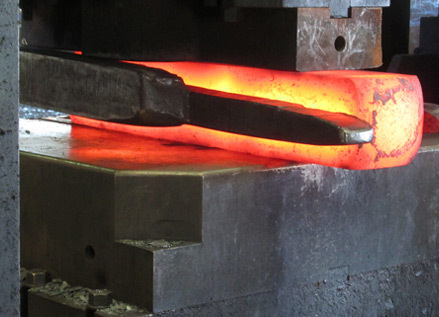 As an ISO 9001:2015-certified forging company, we emphasize continuous quality improvement. Our quality analytics include positive material identification (PMI) as well as metallurgical, hardness, and tensile testing. We are a qualified American Bureau of Shipping (ABS) forging facility and operate in compliance with the EU’s Pressure Equipment Directive (PED). 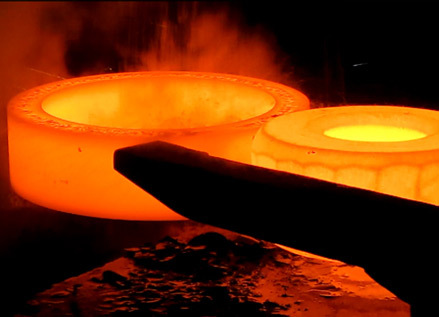 Mechanical and metallurgical testing provide accurate analyses to support the needs of every industry. 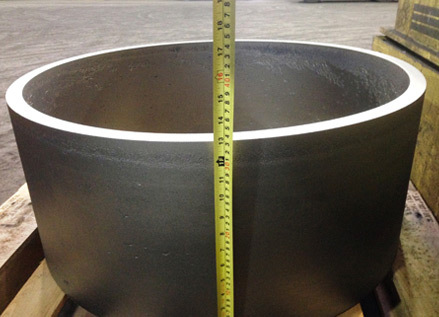 Contact us today to learn more about our seamless rolled ring manufacturing capabilities or request a quote.